The roots of Immanuel Lutheran Church grow deeply into the history of the Willamette Valley. Our first services were held in the late 1880’s. Immanuel has been serving God, its members and the community since its organization on February 18, 1891. In 2016 we will celebrate our 125th Anniversary. First services were held in the homes of members. In 1905 the first church building was built on Madison Street, the site of the current parking lot. A parsonage was built next door to that building. That building served the congregation until 1953 when the the current building was dedicated. That building still serves the congregation. Immanuel is considered the mother Lutheran church of the Valley. Not only does she have daughter churches but granddaughter churches as well. 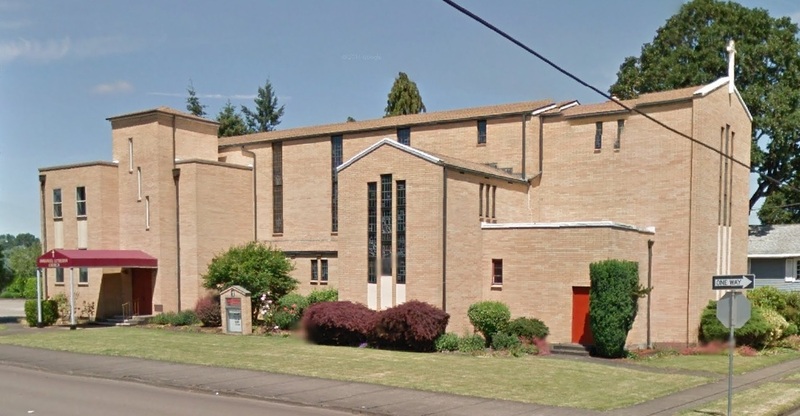 Daughter churches include Zion Lutheran in Corvallis, Good Shepherd Lutheran and Holy Cross Lutheran Church in Albany and Bethlehem Lutheran in Lebanon. Granddaughter churches include Peace Lutheran in Philomath, Shepherd of the Valley in Corvallis and Bethel Lutheran Church in Sweet Home.